-Buy and print your discounted admission tickets online at home without fees, or have them mailed to you (shipping and handling fees apply) NEW!!! - Buy your tickets by phone - 515-244- 2771 (shipping and handling fees apply). NEW!!! - Buy your tickets in person at more than 70 locations in your area (visit www.claycountyfair.com for a complete listing), the Events Center Box Office (now through August 31) or at the Grandstand Ticket office (starting September 1). 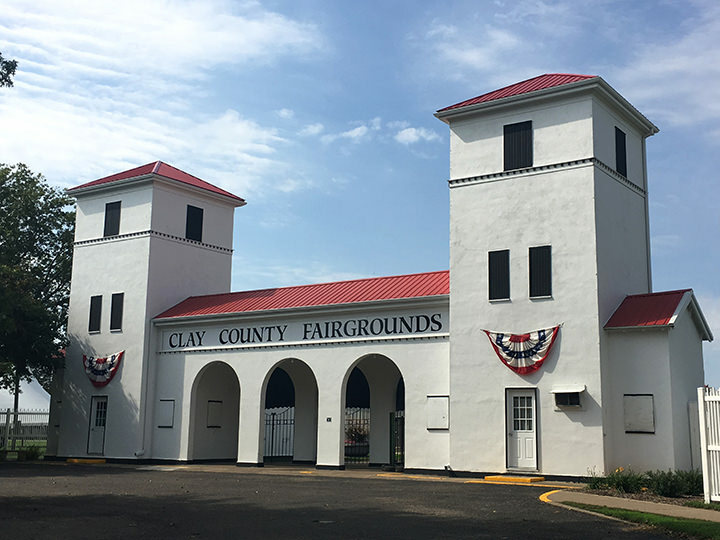 Advance adult admission tickets are valid for regular Fair-time admission on any day of the 2018 Clay County Fair. Please note that admission discounts are available at the entrance gates on several special deal days throughout the Fair's run; admission pricing may be less expensive if you purchase admission at the gate. No refunds will be given if you purchase advance adult admission tickets and discover you qualify for a discount at the gate. Spencer Chamber Family Night (Tuesday, September 11) – EVERYONE FREE after 5 p.m.